Our Wholesale Consultants and Collision Experts are here to provide you with premium customer service, competitive pricing and absolute piece of mind when your Mercedes-Benz is in need of repair. From the smallest ding to a major auto collision claim, our team is committed to provide you nothing short of the highest quality repair. 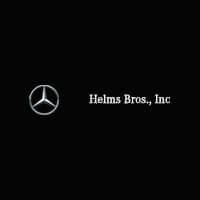 Contact us today to learn why Helms Bros. is your first choice for all things related to Genuine Mercedes-Benz Parts. Our highly trained OEM Parts Experts and cutting-edge technology will locate the right parts, at the right price, the first time. We’ve got you covered.